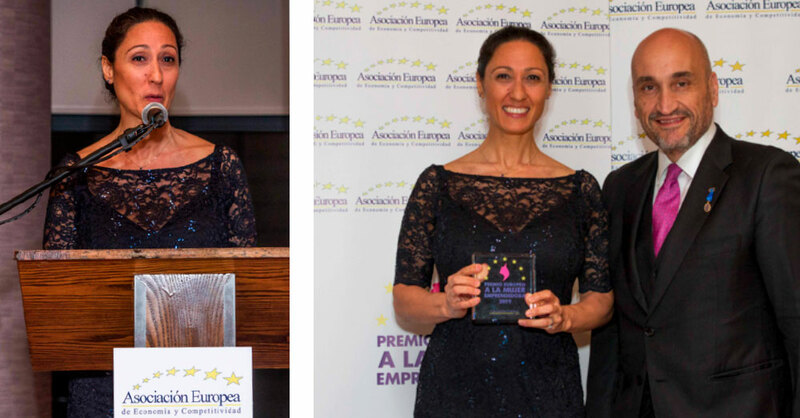 At a special dinner on 15thMarch 2019, Dr Soucek was given the award by the Asociación Europea de Economía y Competitividad (AEDEEC) with the goal of celebrating the excellence, competitivity and influence of women and to demonstrate their support of women in business. This is the first edition of the European Awards to Female Entrepreneurs. The ceremony took place in the Hotel Suites Mira Sierra, and was presented by the journalist Emilio Javier Gómez Plaza, an honorary member of AEDEEC, who commented on behalf of the Association that it was “totally necessary to pay a small tribute to women who have succeeded in leading teams and launching all manner of successful projects”. Laura commented that it was “an honour to receive such an award, and a particularly special evening meeting so many remarkable and smart women who have been successful in a diverse range of businesses”.